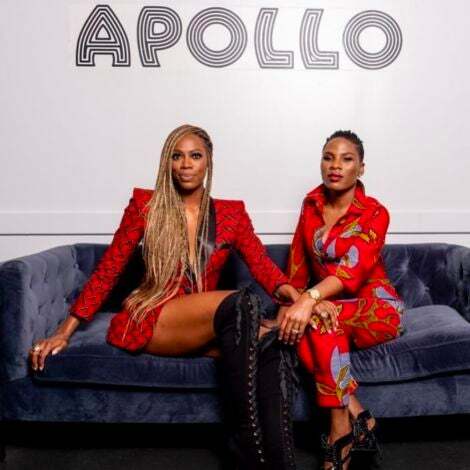 The fiercest ensembles at New York Fashion Week aren't on the catwalk, they're on the streets. Check out the all the show-stopping looks we spotted at Lincoln Center. Ni’ma Ford from New York at Lincoln Center during New York Fashion Week Fall 2013. 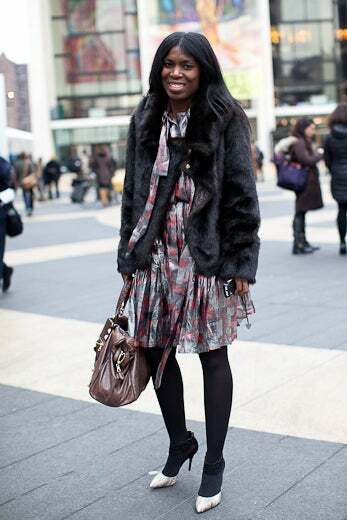 Nana Konamah Boateng from New York at Lincoln Center during New York Fashion Week Fall 2013. 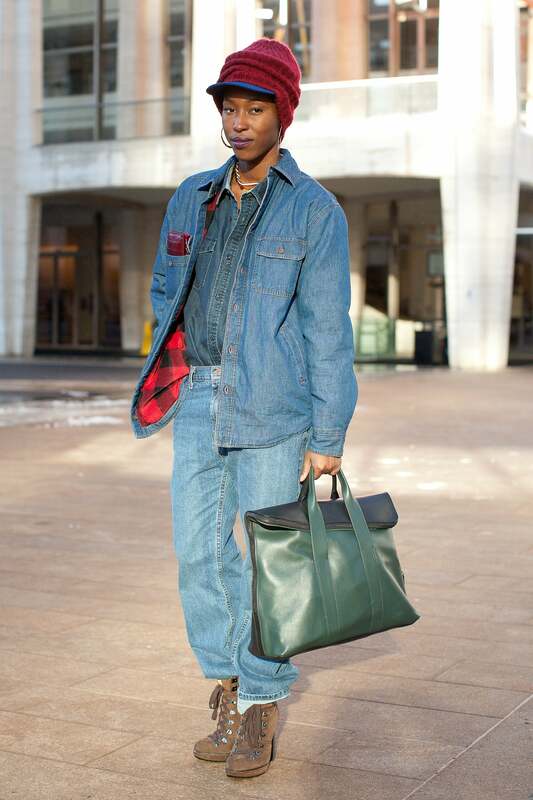 Rajni Jacques from New York at Lincoln Center during New York Fashion Week Fall 2013. Karen Blanchard from London at Lincoln Center during New York Fashion Week Fall 2013. Elisabeth Joy from Philadelphia at Lincoln Center during New York Fashion Week Fall 2013. Asia Bell from Chicago at Lincoln Center during New York Fashion Week Fall 2013. Jamilya Cassidy from Brooklyn at Lincoln Center during New York Fashion Week Fall 2013. 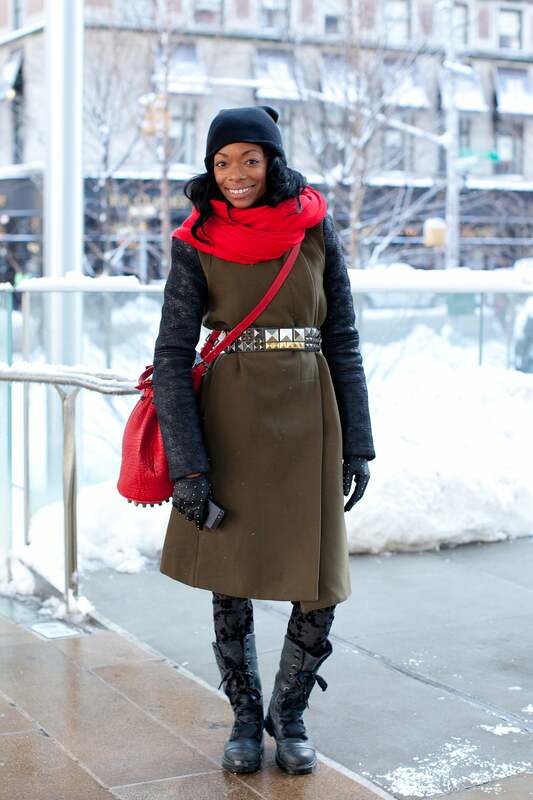 Chioma Nnadi from New York at Lincoln Center during New York Fashion Week Fall 2013. 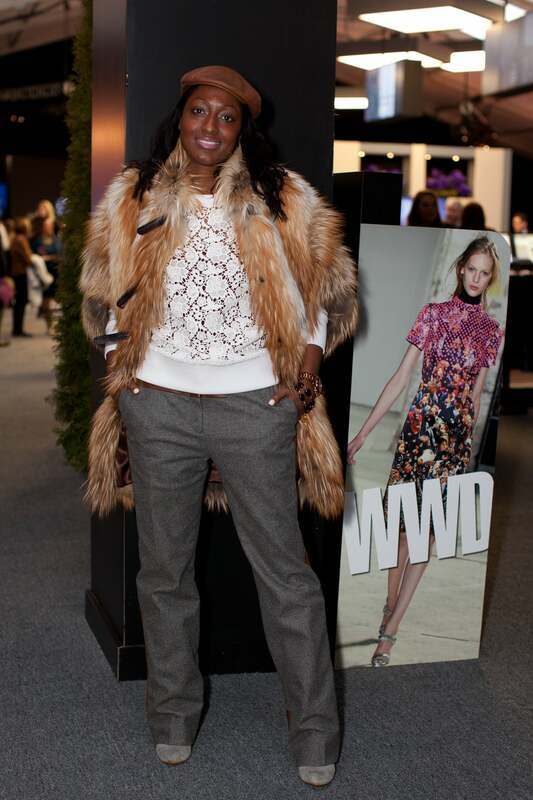 June Ambrose at Lincoln Center during New York Fashion Week Fall 2013. 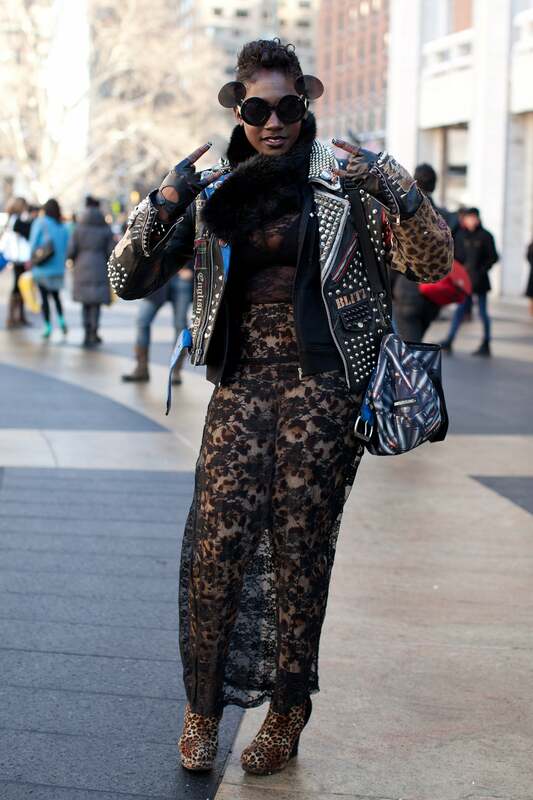 This fashionista poses at Lincoln Center during New York Fashion Week Fall 2013. Tamu McPherson from New York City at Lincoln Center during New York Fashion Week Fall 2013. 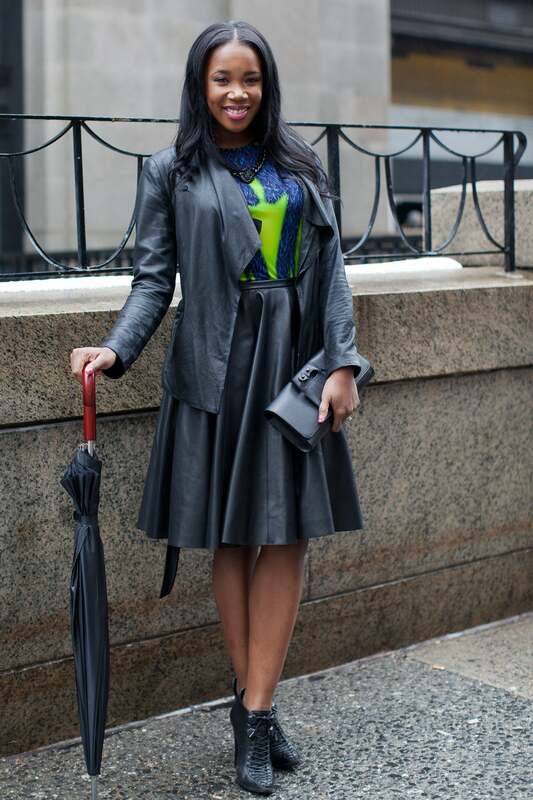 Shiona Turini from New York City at Lincoln Center during New York Fashion Week Fall 2013. Joiee Thorpe from Brooklyn at Lincoln Center during New York Fashion Week Fall 2013. Michelle Swittenberg from New Jersey at Lincoln Center during New York Fashion Week Fall 2013. Preetma Singh from New York City at Lincoln Center during New York Fashion Week Fall 2013. 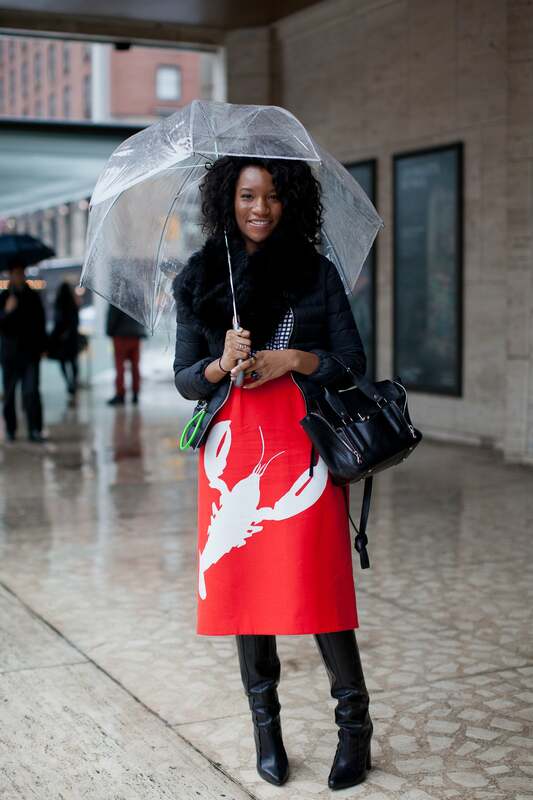 Danielle Prescod of Pelham, NY at Lincoln Center during New York Fashion Week Fall 2013. Rayna Wrighton from New York City at Lincoln Center during New York Fashion Week Fall 2013. Alicia Quarles from New York City at Lincoln Center during New York Fashion Week Fall 2013. Megan Graham from Brooklyn at Lincoln Center during New York Fashion Week Fall 2013. Corinna Williams from New York City at Lincoln Center during New York Fashion Week Fall 2013. Sade Strehlke from Los Angeles at Lincoln Center during New York Fashion Week Fall 2013. 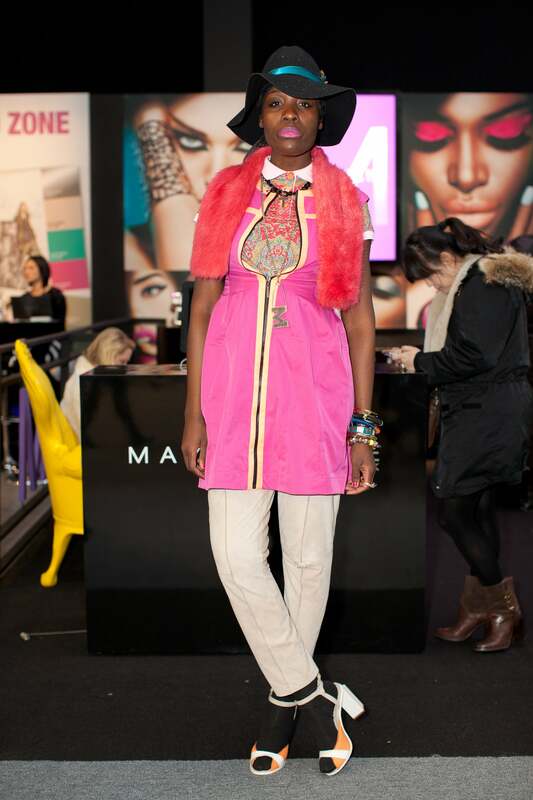 Mari Malik from Senegal at Lincoln Center during New York Fashion Week Fall 2013. Lily Gatis from New York City at Lincoln Center during New York Fashion Week Fall 2013. Carla Lemos from Brazil at Lincoln Center during New York Fashion Week Fall 2013. 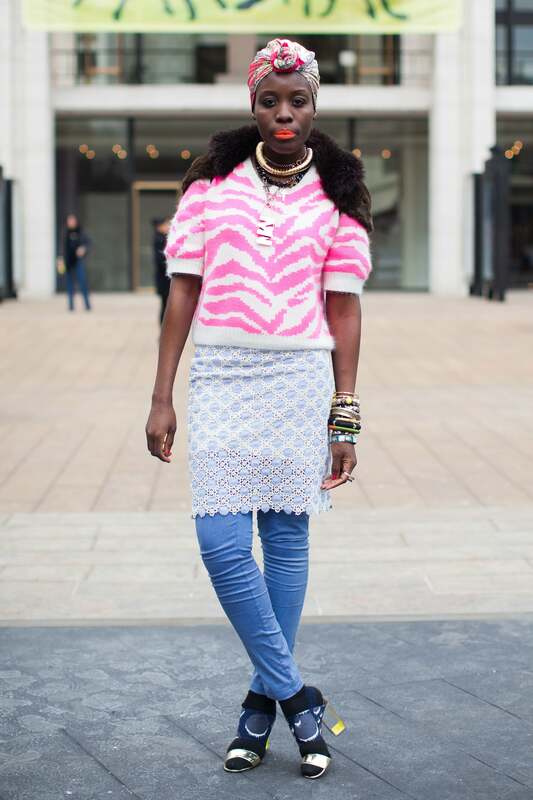 Katherine Kallon from London at Lincoln Center during New York Fashion Week Fall 2013. Hannah Bronfman from New York City at Lincoln Center during New York Fashion Week Fall 2013. 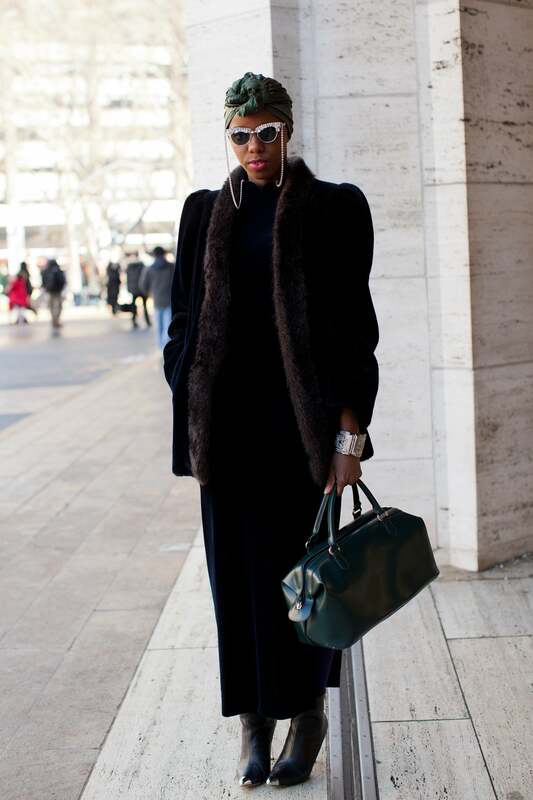 Claire Sulmers from Atlanta at Lincoln Center during New York Fashion Week Fall 2013. Marian Kihugo from London at Lincoln Center during New York Fashion Week Fall 2013. Ashley Dalton from New York City at Lincoln Center during New York Fashion Week Fall 2013. Millen Umoh from New York City at Lincoln Center during New York Fashion Week Fall 2013. Tiffany Baldwin from Brooklyn at Lincoln Center during New York Fashion Week Fall 2013. Stephanie Smith from New York City at Lincoln Center during New York Fashion Week Fall 2013. 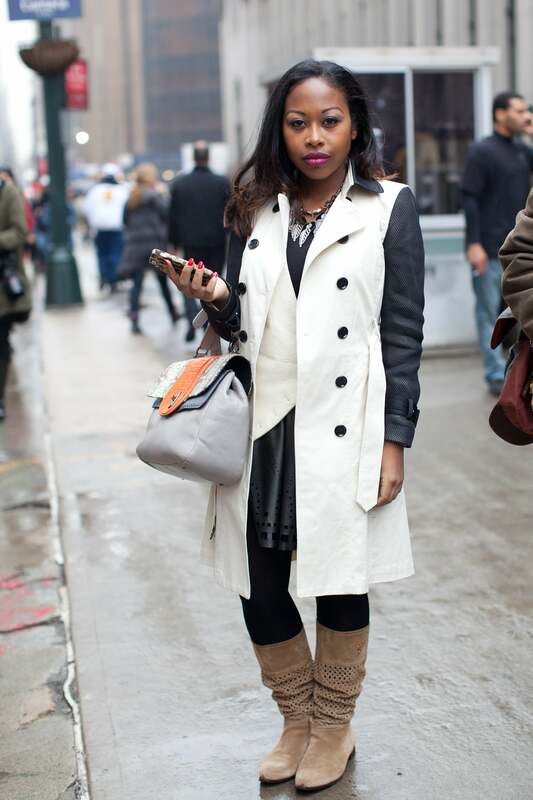 Amber Nicole from New Jersey at Lincoln Center during New York Fashion Week Fall 2013. 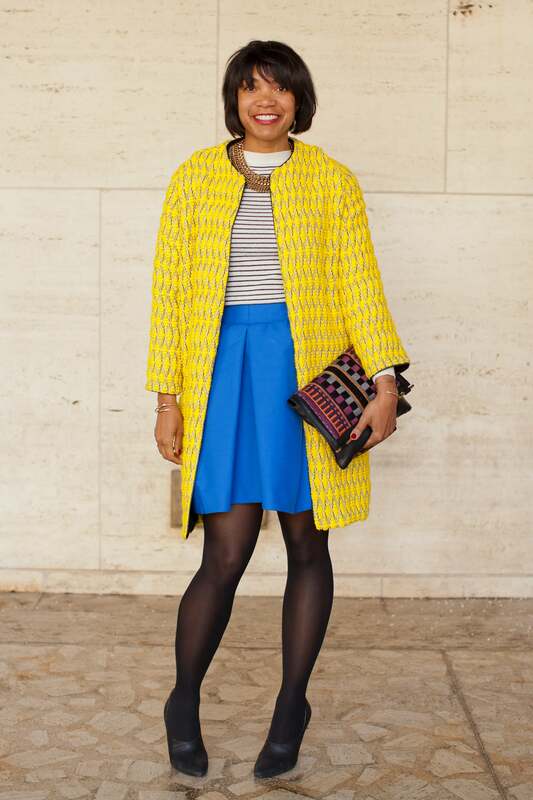 Swathi Nura from Chicago at Lincoln Center during New York Fashion Week Fall 2013. 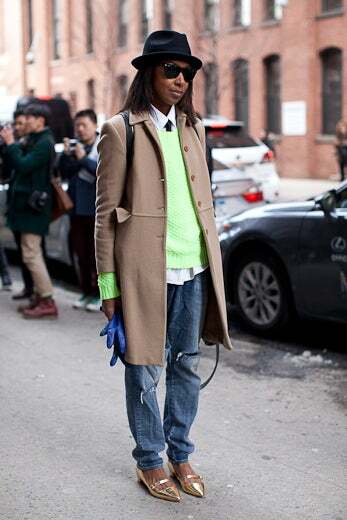 Rajni Jacques from New York City at Lincoln Center during New York Fashion Week Fall 2013. Samira Nasir from New York City at Lincoln Center during New York Fashion Week Fall 2013. Bridget Kelly from New York City at Lincoln Center during New York Fashion Week Fall 2013. Nicole Henry from Miami at Lincoln Center during New York Fashion Week Fall 2013. 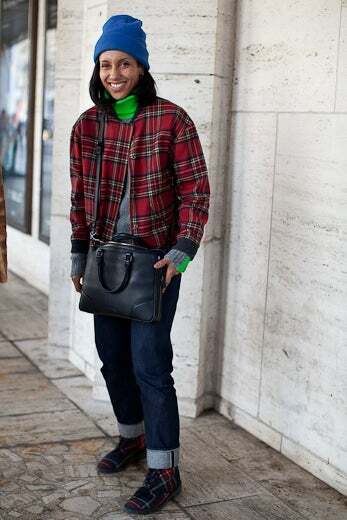 Channing Hargrove from New York City at Lincoln Center during New York Fashion Week Fall 2013. Brittany Kozerski from New York City at Lincoln Center during New York Fashion Week Fall 2013. 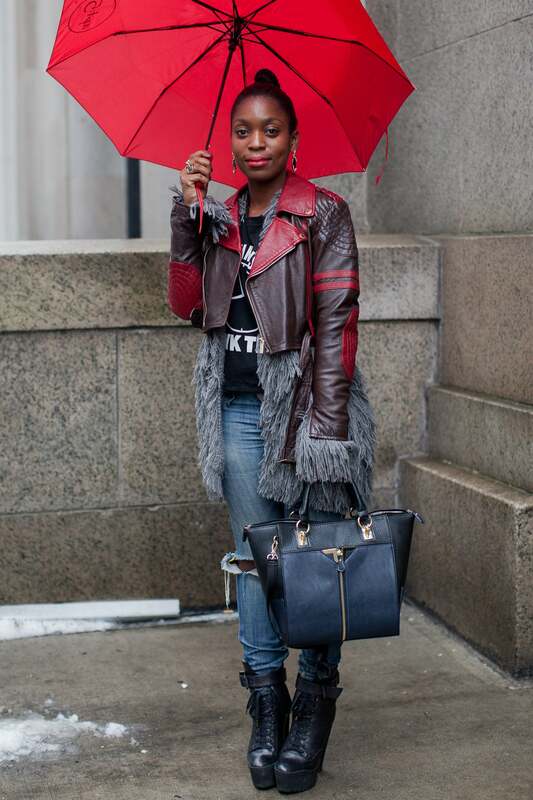 Kenya Hunt from London at Lincoln Center during New York Fashion Week Fall 2013. 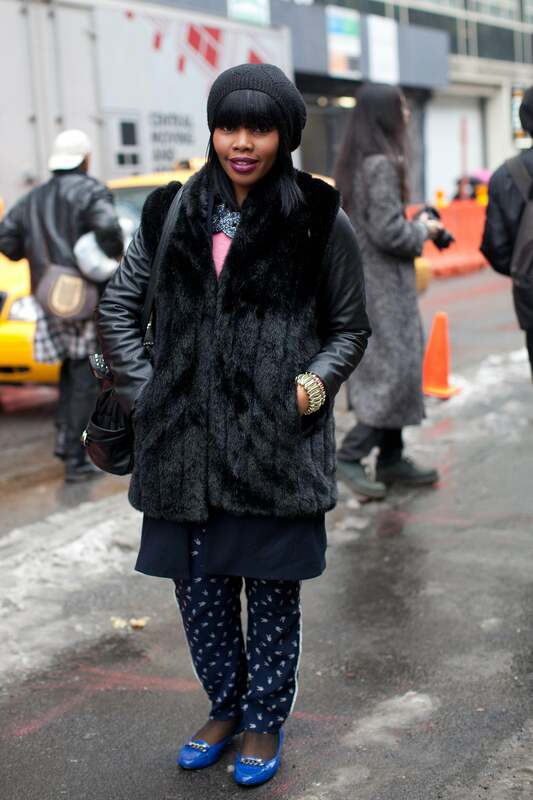 Chioma Nandi from London at Lincoln Center during New York Fashion Week Fall 2013. Danielle Presscot from Pelham, NY at Lincoln Center during New York Fashion Week Fall 2013. 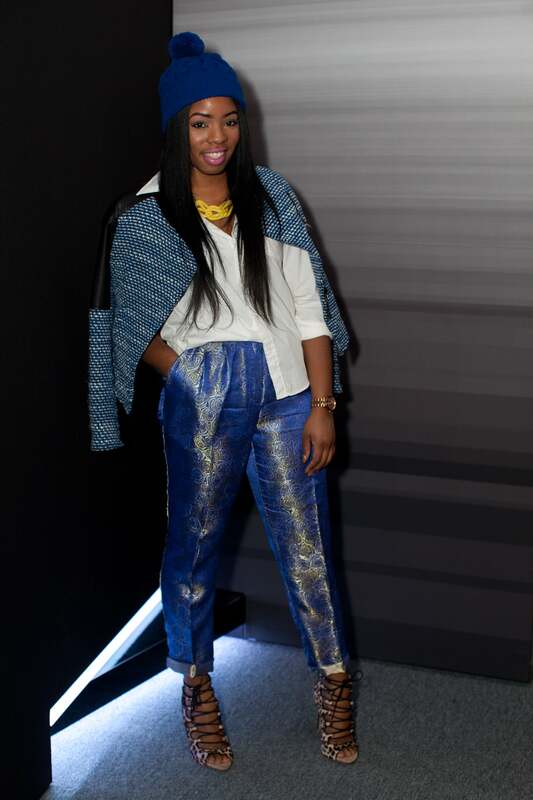 Nikki Ogunnaike at Lincoln Center during New York Fashion Week Fall 2013. 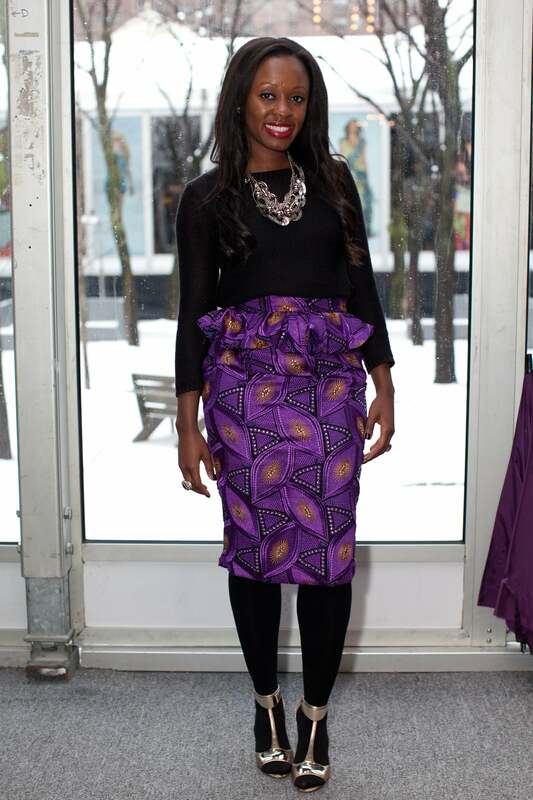 Ndoema from Bangui at Lincoln Center during New York Fashion Week Fall 2013. Ndoema from Bangu at Lincoln Center during New York Fashion Week Fall 2013. 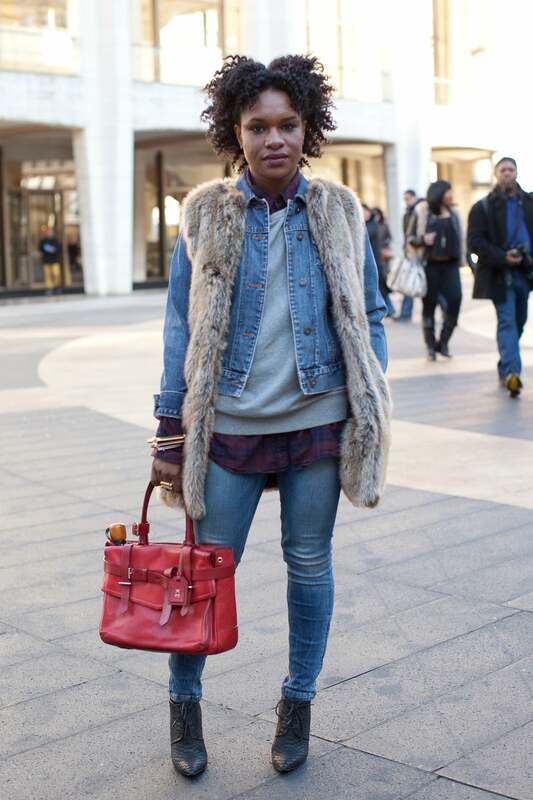 Kiara Freeman from New York City at Lincoln Center during New York Fashion Week Fall 2013. DJ Kiss from New York City at Lincoln Center during New York Fashion Week Fall 2013. Tai Rodriguez from New York City at Lincoln Center during New York Fashion Week Fall 2013. 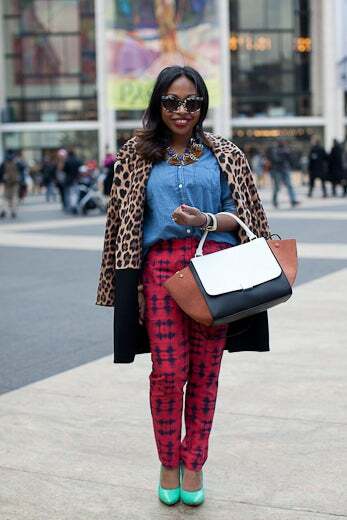 This fashionista from New York at Lincoln Center during New York Fashion Week Fall 2013. 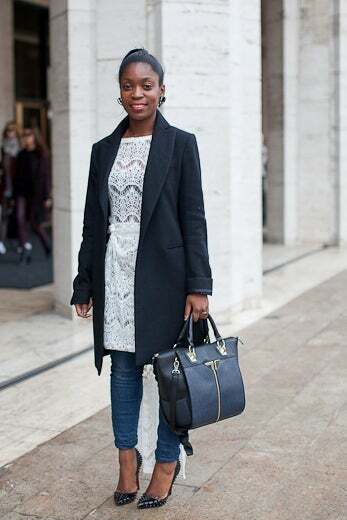 Marian Kihogo from London at Lincoln Center during New York Fashion Week Fall 2013. Mary Crosby from Utah at Lincoln Center during New York Fashion Week Fall 2013. 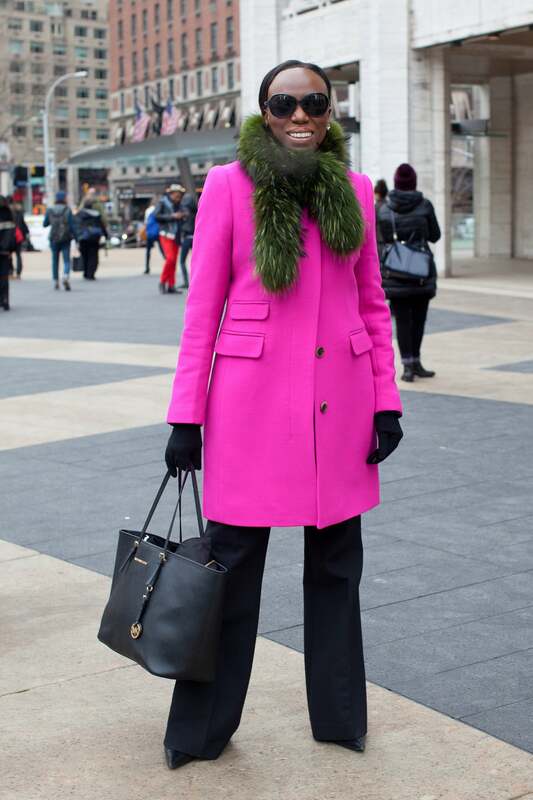 Sherri McMillen from Oakland, CA at Lincoln Center during New York Fashion Week Fall 2013. 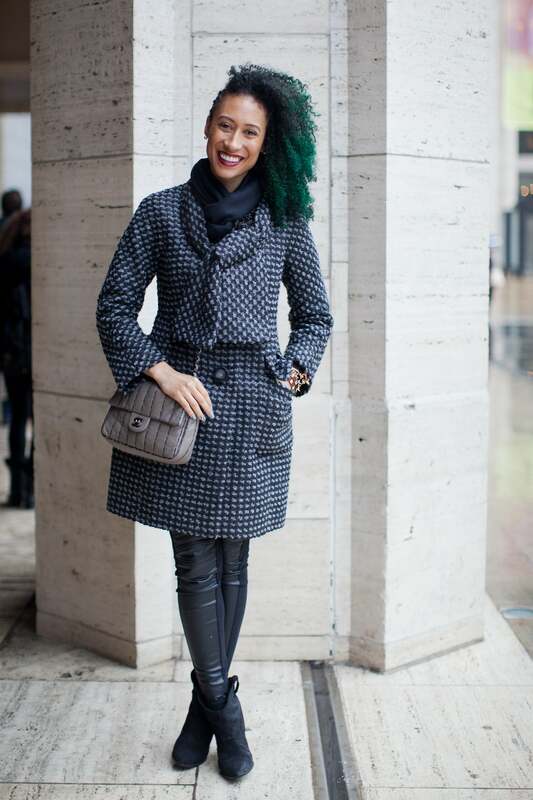 Elaine Welteroth from California at Lincoln Center during New York Fashion Week Fall 2013. 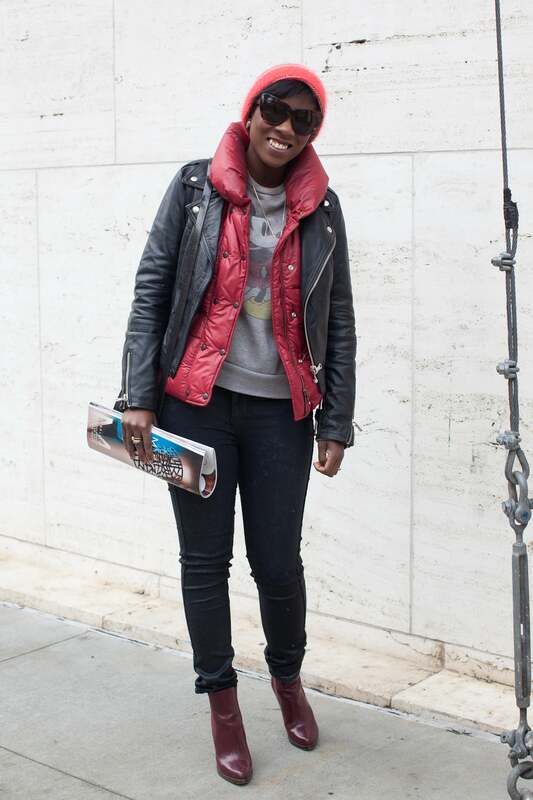 Kathrine Kallon from London at Lincoln Center during New York Fashion Week Fall 2013. Winnie Yagan from Washington D.C. at Lincoln Center during New York Fashion Week Fall 2013. 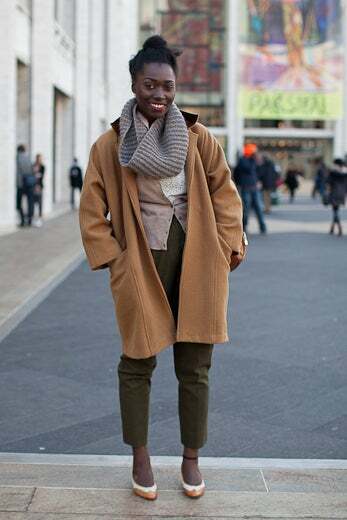 Tosin Ojo from New York City at Lincoln Center during New York Fashion Week Fall 2013. 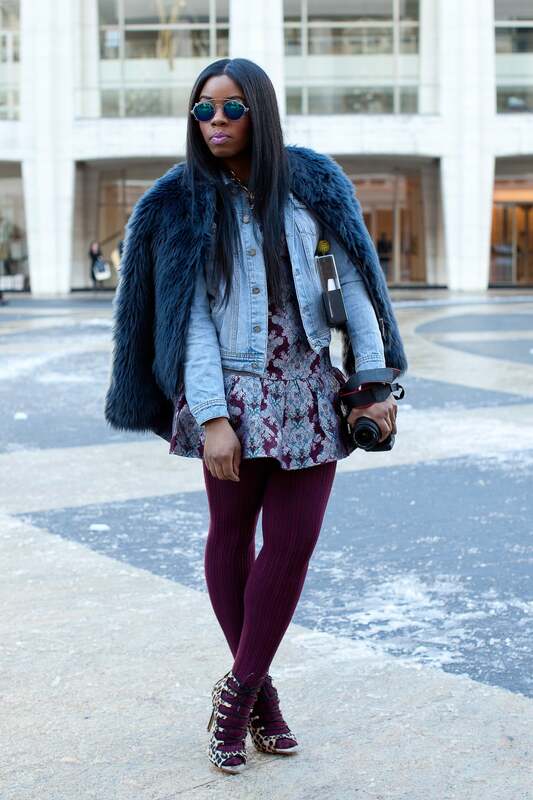 Kimberly Charles from Los Angeles at Lincoln Center during New York Fashion Week Fall 2013. Nicole Chapoteau from New York City at Lincoln Center during New York Fashion Week Fall 2013. 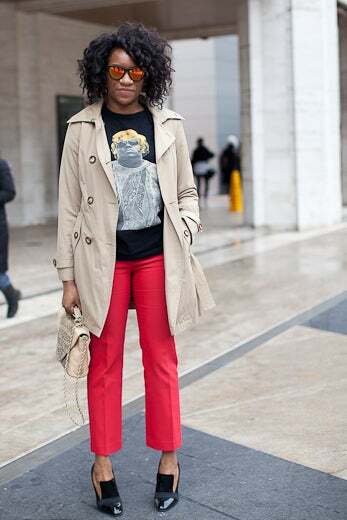 Solange Franklyn from New York City at Lincoln Center during New York Fashion Week Fall 2013. 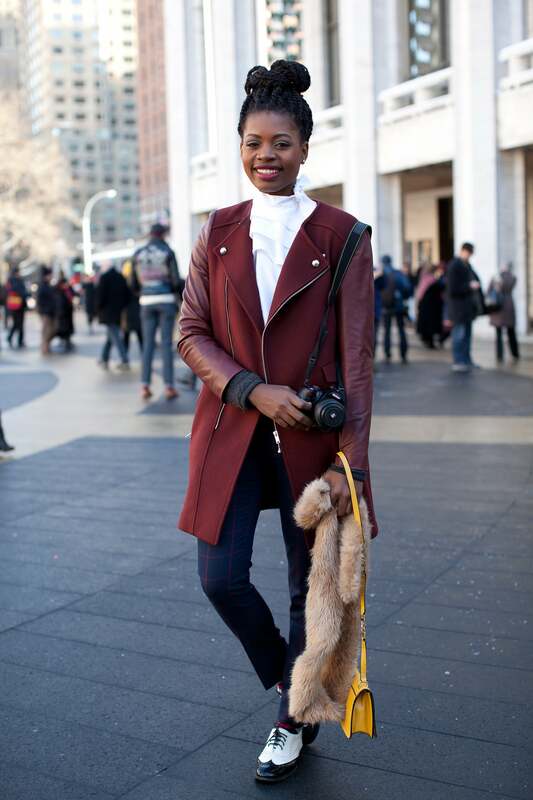 Joy Adaeze from Brooklyn at Lincoln Center during New York Fashion Week Fall 2013. Media Breacher from New York City at Lincoln Center during New York Fashion Week Fall 2013. Angela Bassett at Lincoln Center during New York Fashion Week Fall 2013. Yanira Gorza from Chicago at Lincoln Center during New York Fashion Week Fall 2013. Celia Smith from New York City at Lincoln Center during New York Fashion Week Fall 2013. Hanna Howard from New York City at Lincoln Center during New York Fashion Week Fall 2013. Sophia Ireland from Los Angeles at Lincoln Center during New York Fashion Week Fall 2013. 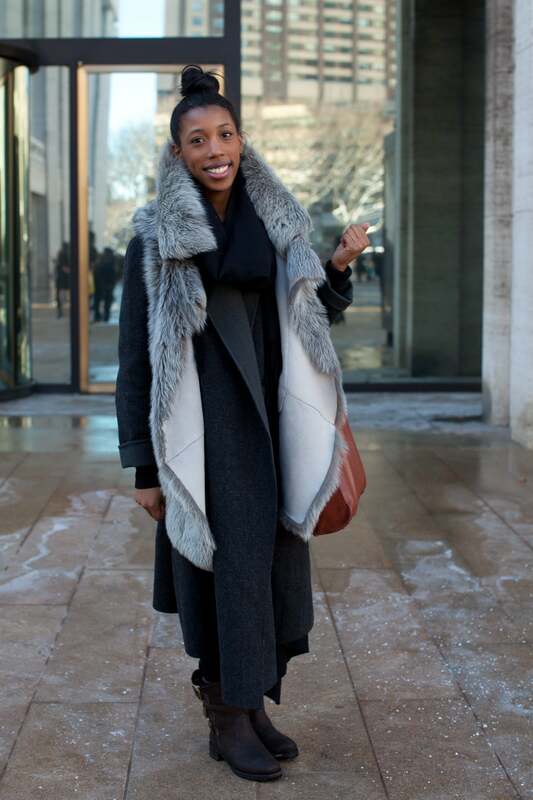 Janelle Hickman from Minneapolis at Lincoln Center during New York Fashion Week Fall 2013. 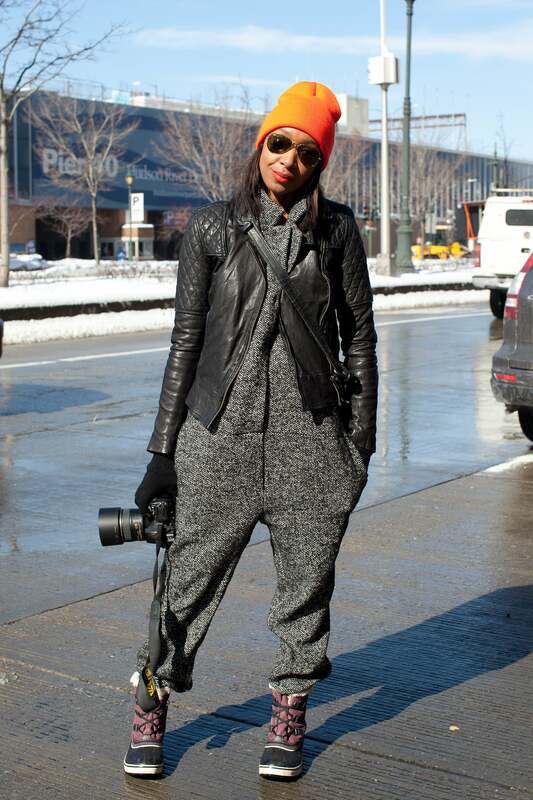 Latoya Henry from Brooklyn, NY at Lincoln Center during New York Fashion Week Fall 2013. Amanda Layne from Toronto at Lincoln Center during New York Fashion Week Fall 2013. 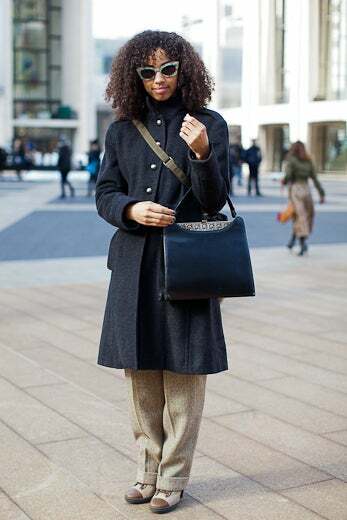 Alexandra Douby from Brooklyn at Lincoln Center during New York Fashion Week Fall 2013. Julee Wilson from New York City at Lincoln Center during New York Fashion Week Fall 2013. 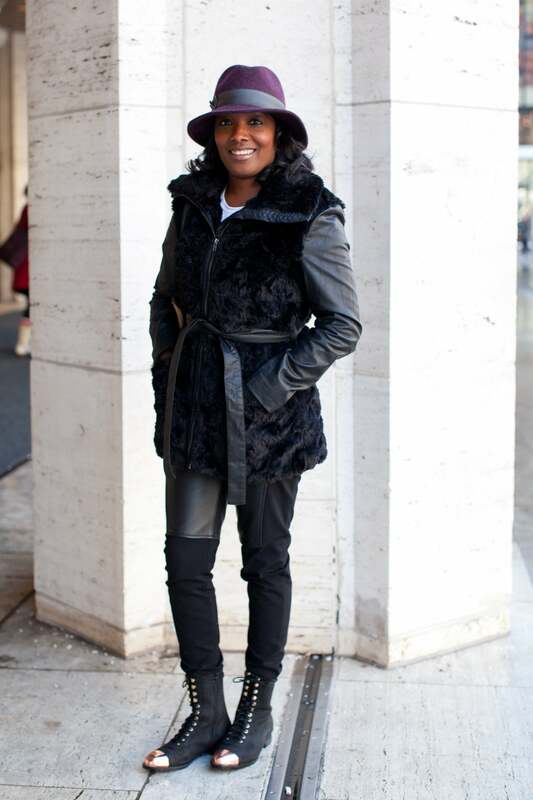 Sherri McMullen from Oakland, CA at Lincoln Center during New York Fashion Week Fall 2013. Marielle Bobo from New York City at Lincoln Center during New York Fashion Week Fall 2013. Kristin Essel from New York City at Lincoln Center during New York Fashion Week Fall 2013. Sharae Willis from Detroit at Lincoln Center during New York Fashion Week Fall 2013. Cocoa Bella from New York City at Lincoln Center during New York Fashion Week Fall 2013. Selita Ebanks from New York City at Lincoln Center during New York Fashion Week Fall 2013. 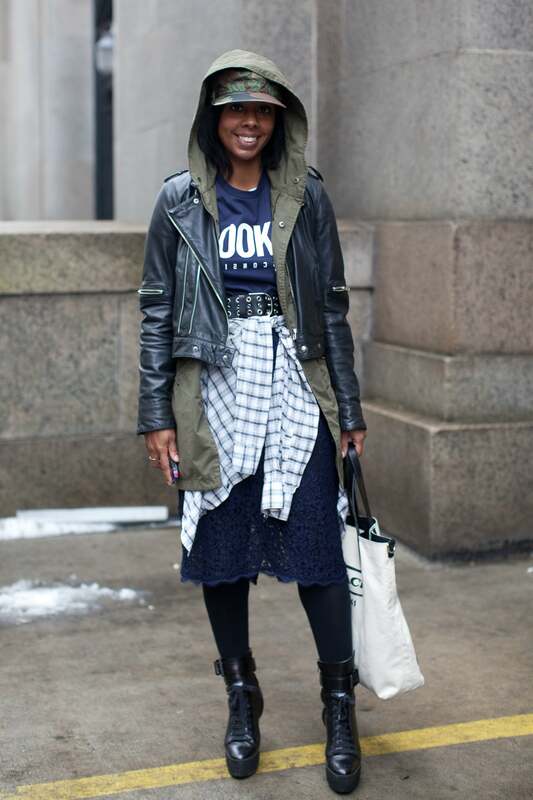 Mali Malik from Sudan at Lincoln Center during New York Fashion Week Fall 2013. Tabitha Holbert from Grand Peairie, TX at Lincoln Center during New York Fashion Week Fall 2013. Beagy Zielinski from New York City at Lincoln Center during New York Fashion Week Fall 2013. 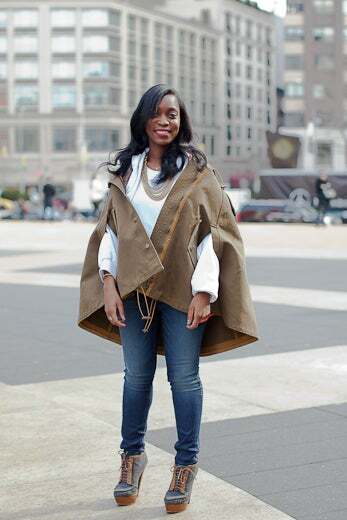 Kia Denise from Philadelphia at Lincoln Center during New York Fashion Week Fall 2013. 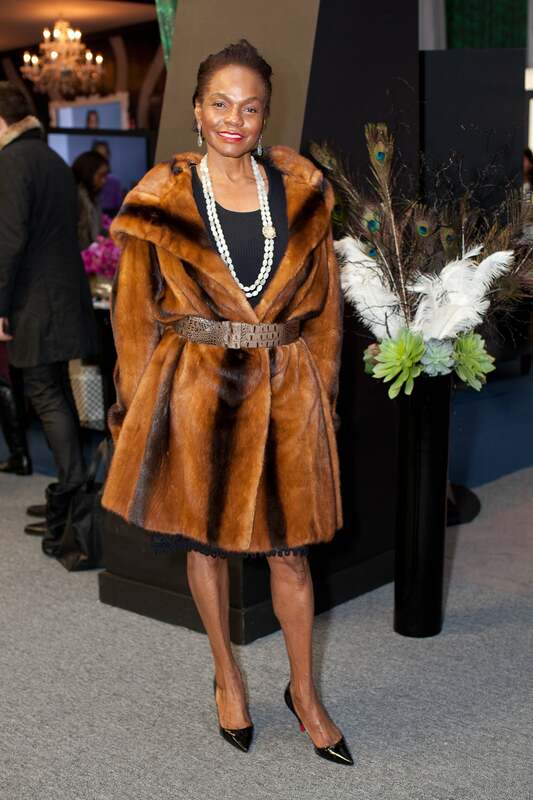 Leslie Eugene from Deleware at Lincoln Center during New York Fashion Week Fall 2013. 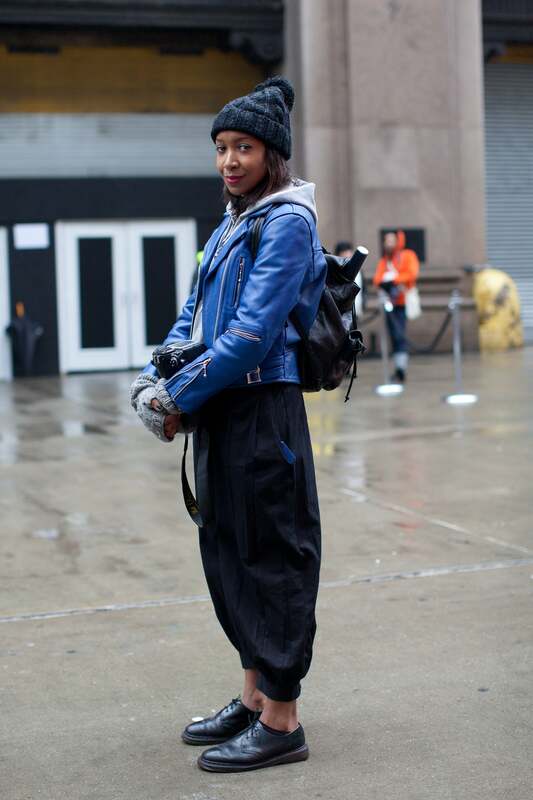 Telena J Cassell from Los Angeles at Lincoln Center during New York Fashion Week Fall 2013. Talya Macedo from Toronto at Lincoln Center during New York Fashion Week Fall 2013. Leslie Eugene from Delaware at Lincoln Center during New York Fashion Week Fall 2013. Jessica Virgin from Houston at Lincoln Center during New York Fashion Week Fall 2013. Tammy Rivera from New York City at Lincoln Center during New York Fashion Week Fall 2013. Alice Ntam from Washington D.C. at Lincoln Center during New York Fashion Week Fall 2013. Elizabeth Keene from Beverly Hills at Lincoln Center during New York Fashion Week Fall 2013. 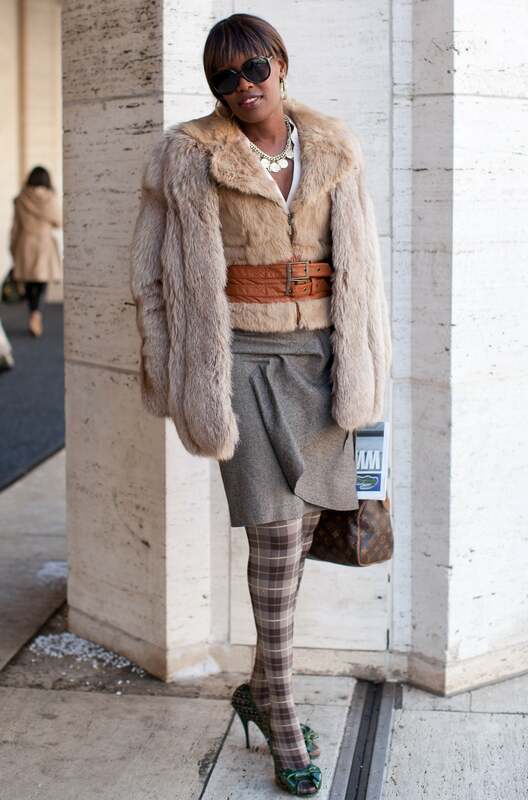 Toyin Graham from Dallas, TX at Lincoln Center during New York Fashion Week Fall 2013. Felicia Fracassi from New York City at Lincoln Center during New York Fashion Week Fall 2013. 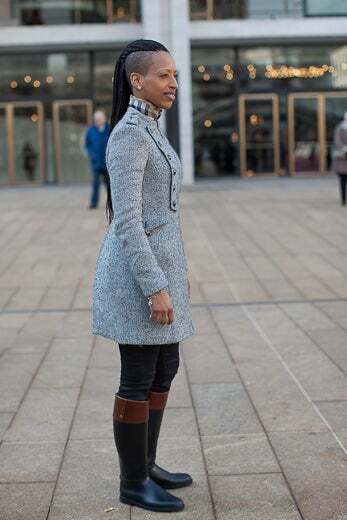 Rosemary Kokuhilwa from Tanzania at Lincoln Center during New York Fashion Week Fall 2013. 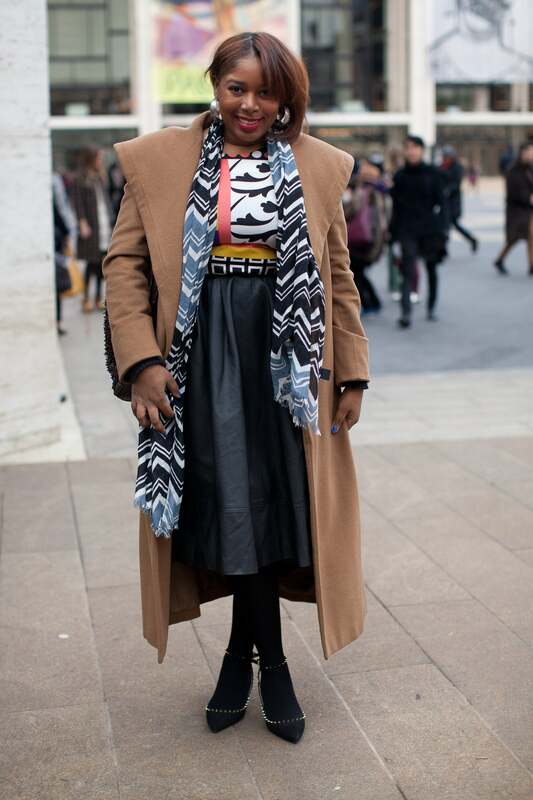 Tahirah Conliffe from London at Lincoln Center during New York Fashion Week Fall 2013. Renee Adrienne Smith from New York City at Lincoln Center during New York Fashion Week Fall 2013. 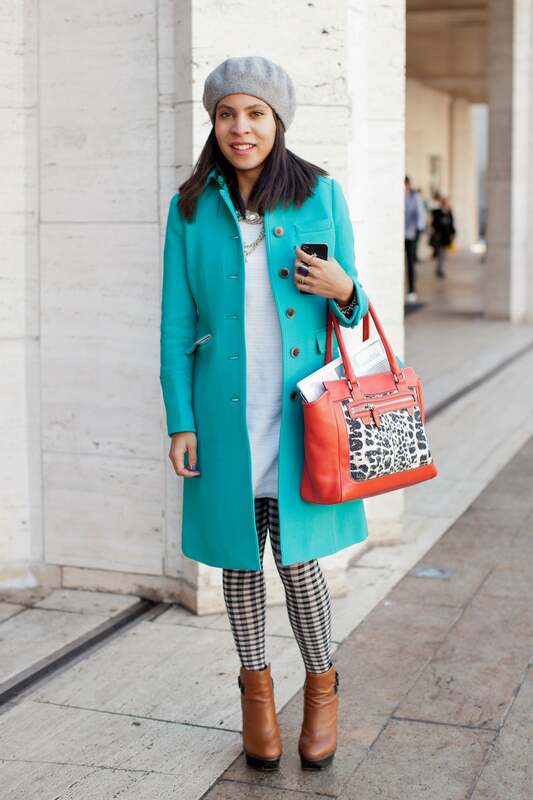 This fashionista wears a mix of patterns at Lincoln Center during New York Fashion Week Fall 2013. 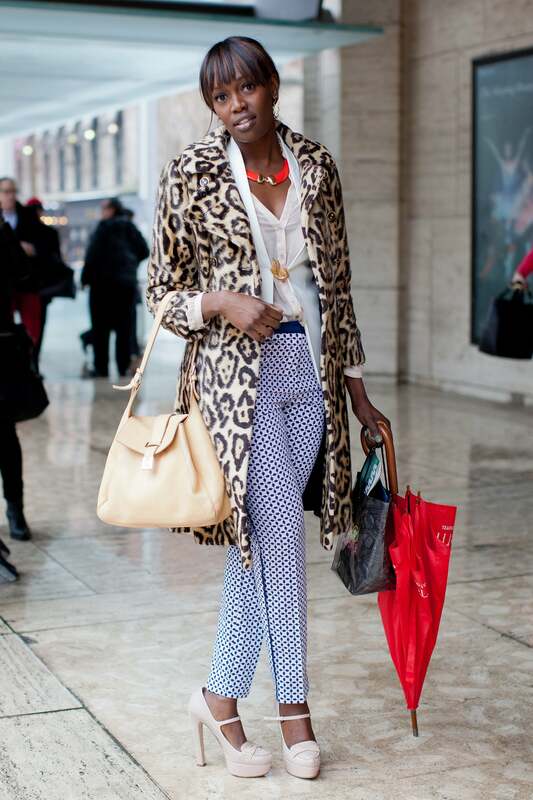 Reneise Francis from New York City at Lincoln Center during New York Fashion Week Fall 2013. Athanaelle Paul from New York City at Lincoln Center during New York Fashion Week Fall 2013. Martha Luna from New York, NY at Lincoln Center during New York Fashion Week Fall 2013. 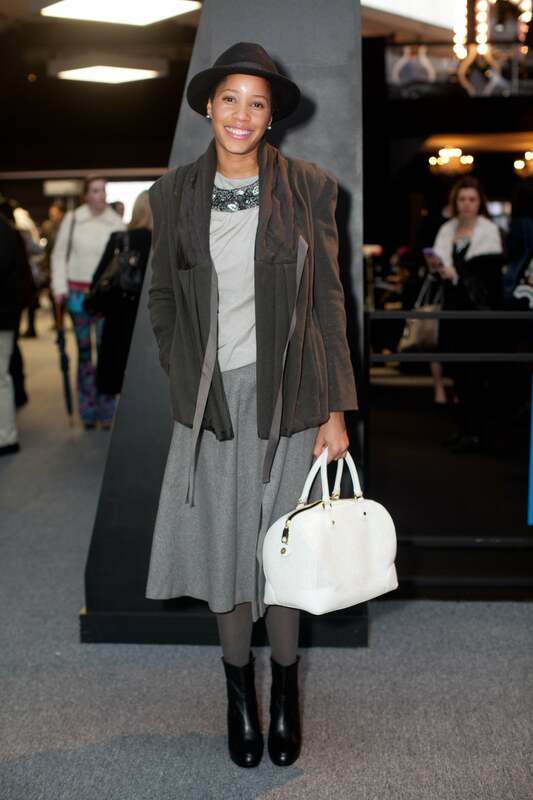 Vanessa Lundy from Boston, MA at Lincoln Center during New York Fashion Week Fall 2013. 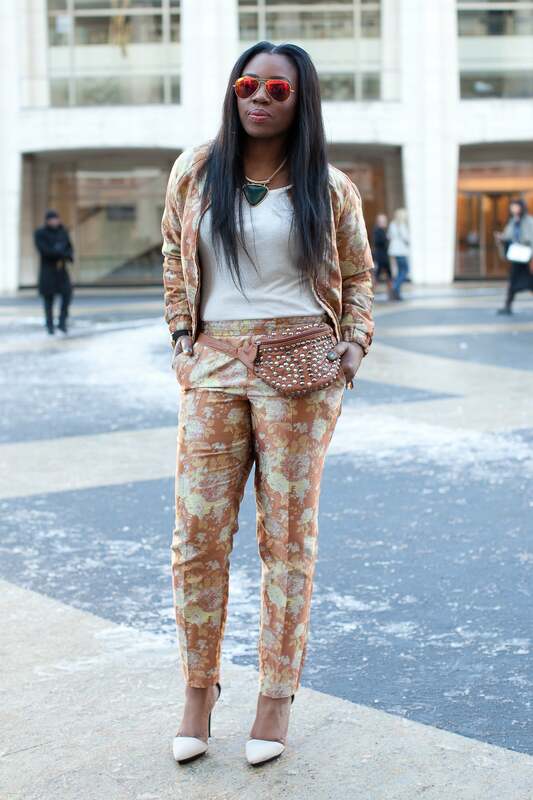 Nikki Ogunnaike from New York, NY at Lincoln Center during New York Fashion Week Fall 2013. 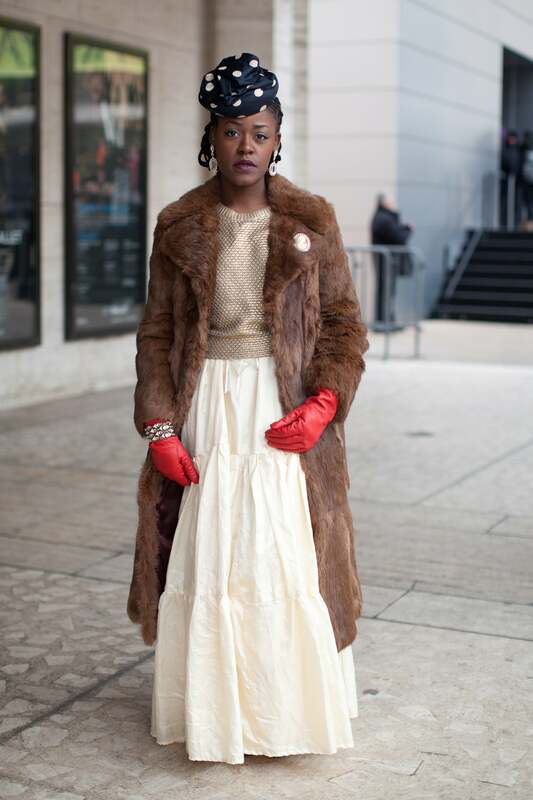 Claire Sulmers from Atlanta, GA at Lincoln Center during New York Fashion Week Fall 2013. 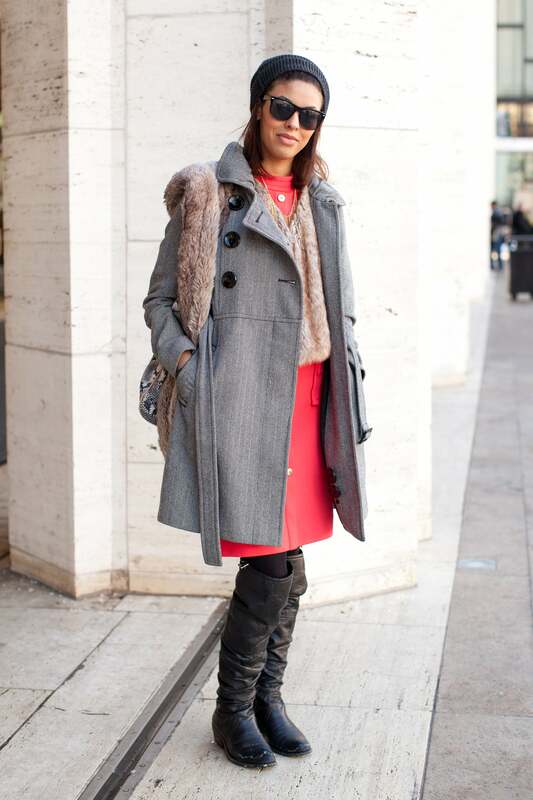 Alicia Quarles from New York at Lincoln Center during New York Fashion Week Fall 2013. Onyinye Akujuo from New York, NY at Lincoln Center during New York Fashion Week Fall 2013. Chrissy Rutherford from New York, NY at Lincoln Center during New York Fashion Week Fall 2013. 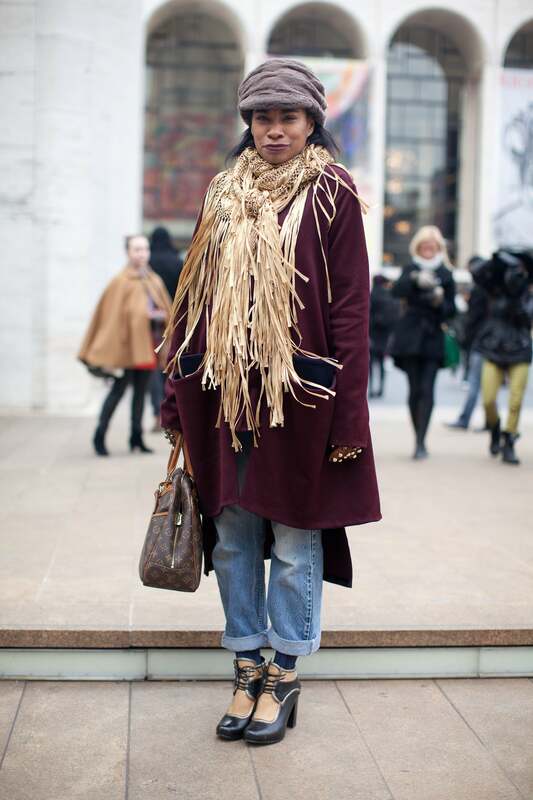 Mikki Taylor from New York, NY at Lincoln Center during New York Fashion Week Fall 2013. Rajni Jaques from New York, NY at Lincoln Center during New York Fashion Week Fall 2013. Leslie Eugine from Deleware at Lincoln Center during New York Fashion Week Fall 2013. April Cozart from St. Louis, MO at Lincoln Center during New York Fashion Week Fall 2013. 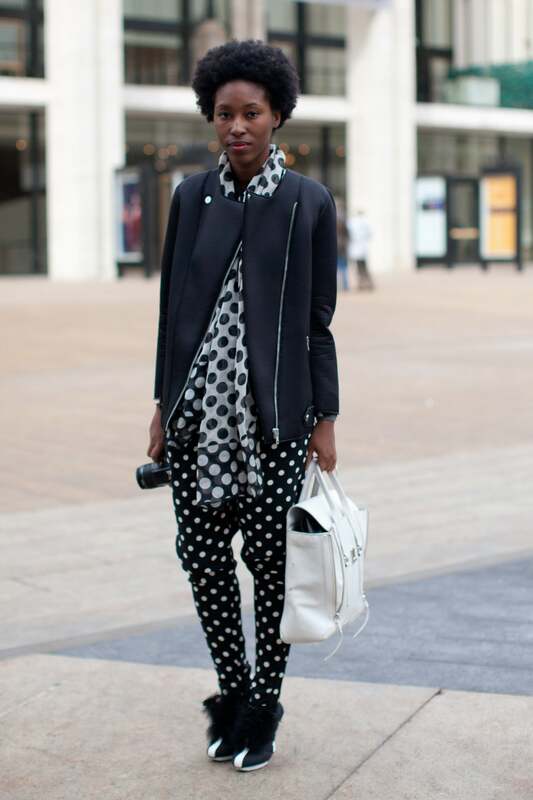 Rosemary Kokahilwa from Tanzania at Lincoln Center during New York Fashion Week Fall 2013. Ndoema from Bangui, Central Republic of Africa at Lincoln Center during New York Fashion Week Fall 2013. Arienne Thompson from Washington DC at Lincoln Center during New York Fashion Week Fall 2013. 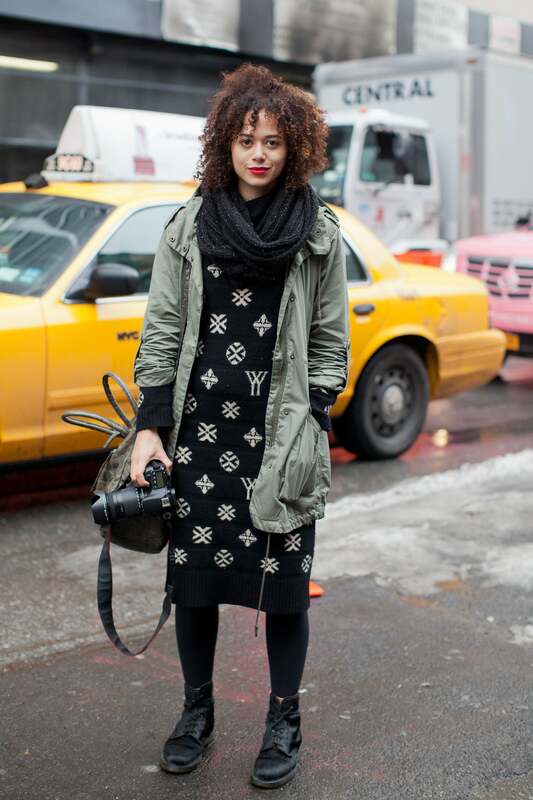 Alisa Sherrod from Atlanta, GA at Lincoln Center during New York Fashion Week Fall 2013. Mikasa LaCharles from Norfolk, VA at Lincoln Center during New York Fashion Week Fall 2013. Mashariki Williamson from New York, NY at Lincoln Center during New York Fashion Week Fall 2013. Kahlana Barfield from Seattle at Lincoln Center during New York Fashion Week Fall 2013. Media Brecher from New York, NY at Lincoln Center during New York Fashion Week Fall 2013. Michelle Blone from New York, NY at Lincoln Center during New York Fashion Week Fall 2013. Nicole Chapoteau from New York, NY at Lincoln Center during New York Fashion Week Fall 2013. 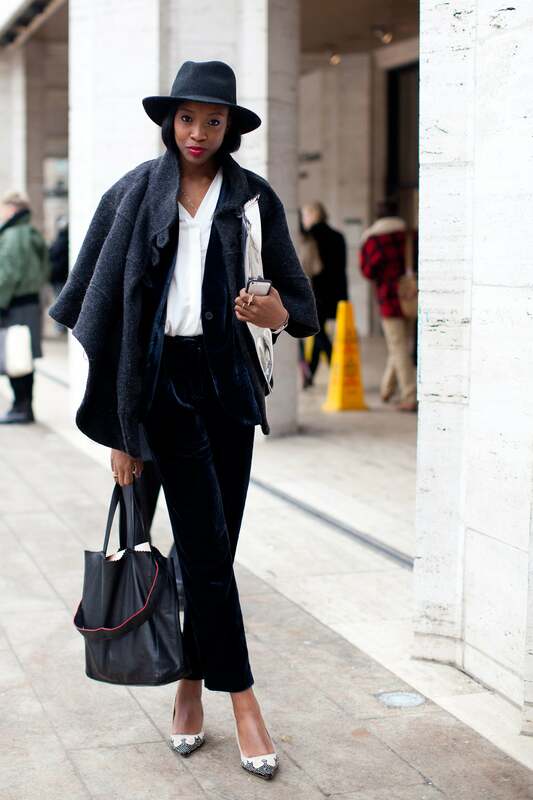 Simone Oliver from New York, NY at Lincoln Center during New York Fashion Week Fall 2013. Kee Siler from Baltimore, MA at Lincoln Center during New York Fashion Week Fall 2013. Tamu McPherson from New York, NY at Lincoln Center during New York Fashion Week Fall 2013. Monroe Steele from North Carolina at Lincoln Center during New York Fashion Week Fall 2013. Elizabeth Keene from Beverly Hills, CA at Lincoln Center during New York Fashion Week Fall 2013. Julianka A Bell from Fort Washington, MA at Lincoln Center during New York Fashion Week Fall 2013. 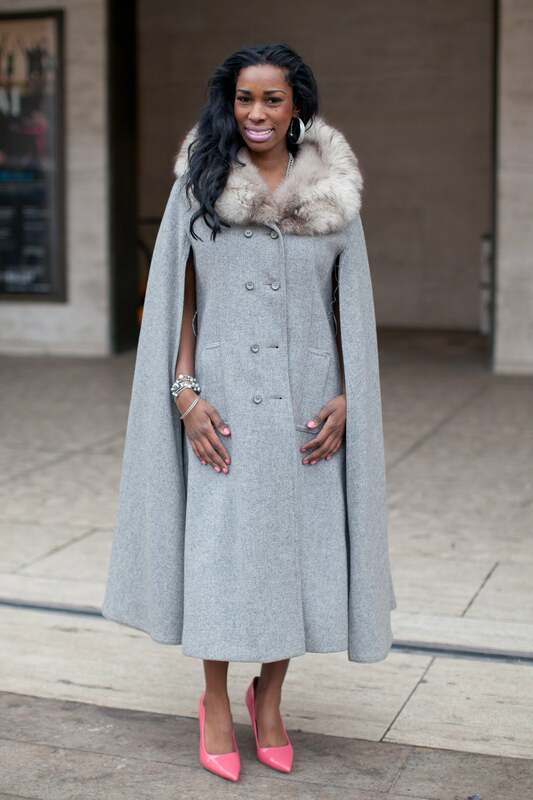 Porsha Summerville from New York, NY at Lincoln Center during New York Fashion Week Fall 2013. Ari Washington from Miami at Lincoln Center during New York Fashion Week Fall 2013. 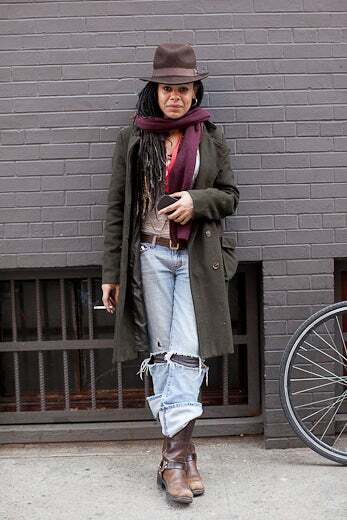 Alejandra Hines from Jamaica at Lincoln Center during New York Fashion Week Fall 2013. 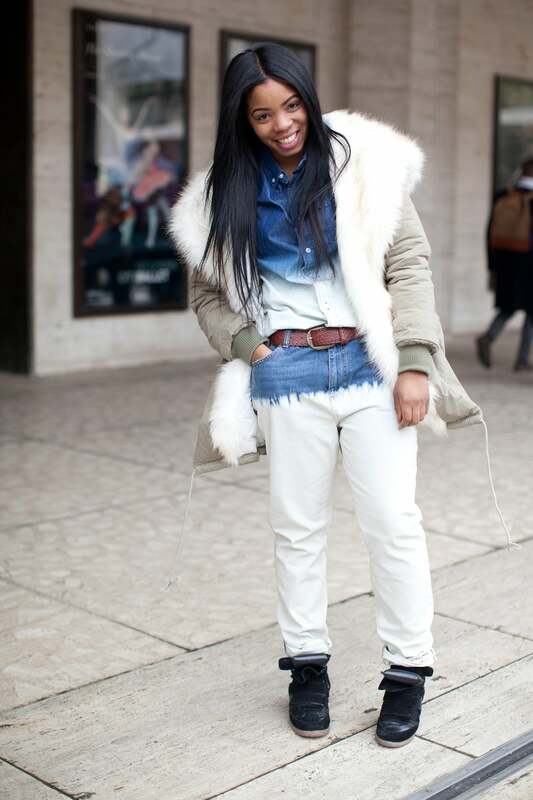 Kia Denise from Philadelphia, PA at Lincoln Center during New York Fashion Week Fall 2013. Michelle Elie from Germany at Lincoln Center during New York Fashion Week Fall 2013. Tammy Rivera from Atlanta at Lincoln Center during New York Fashion Week Fall 2013. Lola of Lola & Fufu from Miami at Lincoln Center during New York Fashion Week Fall 2013. Fufu of Lola & Fufu from Miami at Lincoln Center during New York Fashion Week Fall 2013. 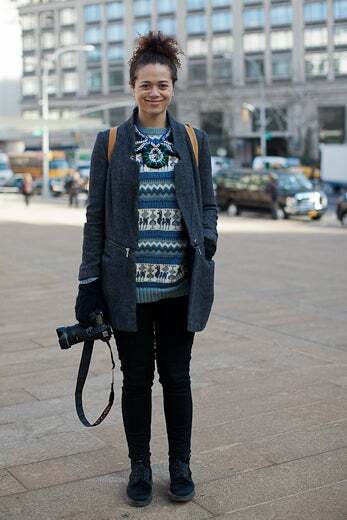 Danielle Audain from Philadelphia at Lincoln Center during New York Fashion Week Fall 2013. 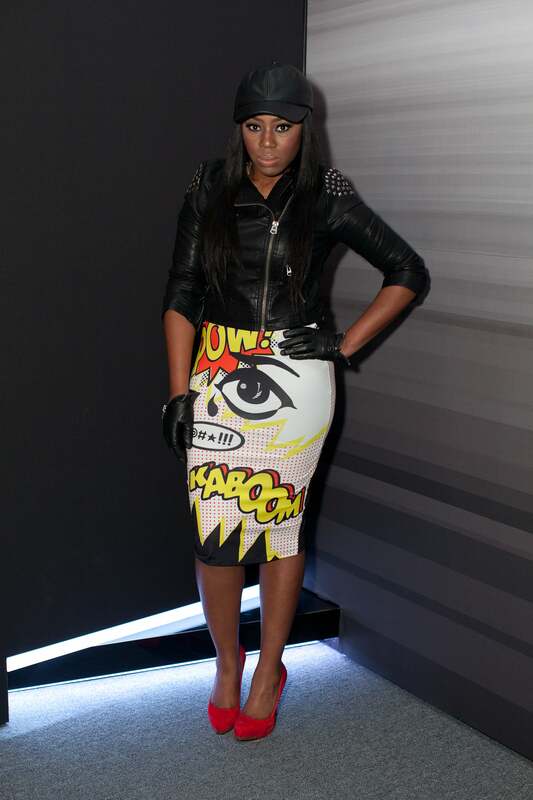 C Michelle from Detroit at Lincoln Center during New York Fashion Week Fall 2013. Ria Michelle from Miami at Lincoln Center during New York Fashion Week Fall 2013. Na’ima Ford from New York City at Lincoln Center during New York Fashion Week Fall 2013. Crystal Tate from New York City at Lincoln Center during New York Fashion Week Fall 2013. 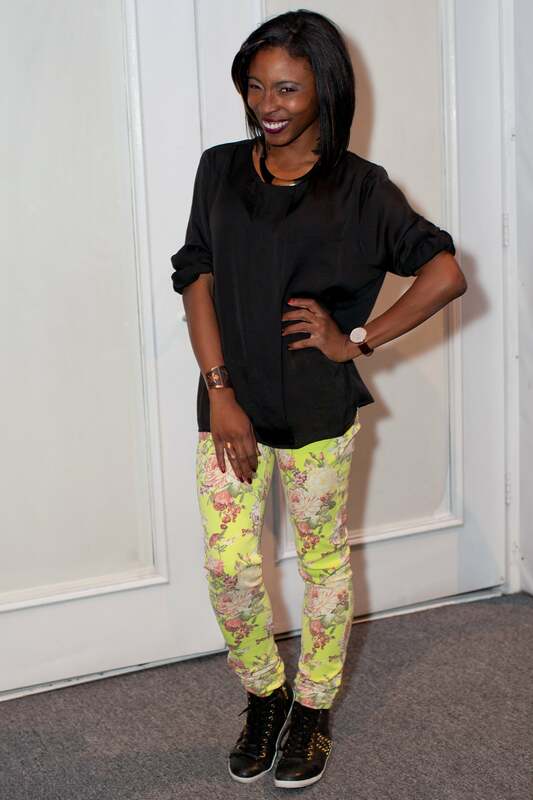 Paola Mathe from Haiti at Lincoln Center during New York Fashion Week Fall 2013. 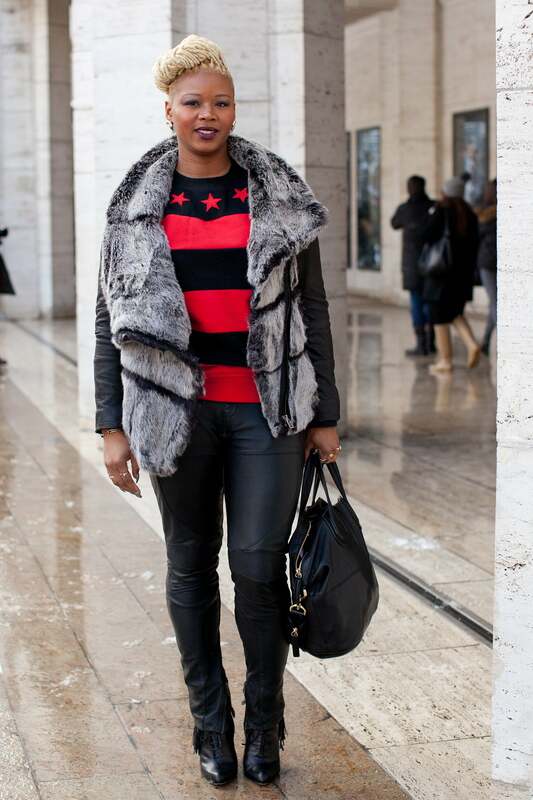 Crystal Boulden from Union City, NJ at Lincoln Center during New York Fashion Week Fall 2013. Shanna Martin from Minneapolis at Lincoln Center during New York Fashion Week Fall 2013. Christy Solomon from Jersey City, NJ at Lincoln Center during New York Fashion Week Fall 2013.